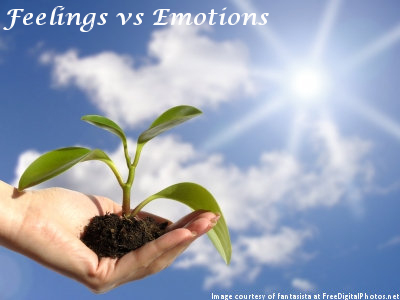 This month my inspiration came from Emmanuel Dagher’s Club Miracles healing call – where he discussed the difference between Emotions and Feelings. I found it fascinating: he sees our emotions as something we have judged as either good or bad – where our feelings are from a state of BEing and are not identified or judged as either good or bad, they just are. Emmanuel’s definition goes against the traditional definitions of emotions and feelings. Which made me wonder about whether we tend to judge most of our emotions through our past experiences and if there is a way to come from a place of BEing when it comes to our feelings? When thinking about our feelings and whether we are in a state of BEing instead of unconsciously judging ourselves – it is easy to see how emotions can cloud our judgment. I believe our experiences have been interpreted through our lenses of our beliefs and we create judgments around these experiences and labels that have told us whether something is good or bad. We often unconsciously experience through our emotions and we have decided whether it is a good or bad experience based on the emotion we believed we received from the event. However, this is where we can learn a lot about ourselves. If something gives us Joy does it actually come from a judgment? We may experience Joy – or our interpretation of Joy – when we believe we are superior to someone or something else – but could that be True Joy? Or can we in be in charge and responsible for how we respond in each moment – can we choose to BE happy, or how we want to respond, even if something is appearing to be happening around us like every piece of equipment breaking down – and just BE? To me these are fascinating questions, maybe not so much for the expression of Joy, as this has been judged as a ‘good’ thing; but what about the more negative emotions? What about when we seem to automatically get road rage or when something that we have judged as going wrong leaves us feeling frustrated, angry, confused or rather – a state of fear? It would appear that we are not in charge of how we respond. We seem to automatically judge situations and then our judgments condition us to experience the situations as we have previously judged them. Wouldn’t it be amazing if we could just BE in the moment and not emotionally react to the situations around us – such as when something isn’t working or we aren’t receiving the service we expect? Or are these just my unconscious reactions? If we could let go of all the fears associated with our beliefs – all the negative emotions that we have judged as bad or wrong – wouldn’t that open us up to having new experiences in the Now Moment where we can just feel out what is happening without the judgment? Judgment is the one thing that can limit our experiences. Not only do we judge our experience through our emotion – such as ‘frustration’ – but then we also will judge the frustration based on other times we have experienced it. This doesn’t allow us to fully BE in the moment and also continues our BEing unconscious as our judgment tells us how it compares to other similar experiences. So, when we have someone on the phone who isn’t listening to us – we may overreact and not only ruin their day but also our own – when our judgment was all based on a misunderstanding because we fell into a judgment pattern. Depending on how deep the emotion is – our judgment of the emotion may unconsciously create more angst or charge than the situation called for. It is only when we are BEing in the Now Moment that we can give someone the space to communicate and express who they are without our pre-judging them and just allowing it to be a New Experience where we are allowed to Grow and Evolve. If we are open to Feeling and committed to BEing in the Now Moment – then we have an opportunity to allow the moment to unfold – instead of finding just another way to allow it to not fully be experienced and also judged. If it can unfold naturally – without the judgment – we could ‘let go’ of many of the beliefs that we hold onto. We can’t ‘grow-up’ if we are still unconscious and it is hard to enJOY life when we respond unconsciously to people and situations around us. Judgments are what create so many problems within our world. Not only because judgment limits our experiences but also because it creates an ‘ego’ altercation that makes us feel we can judge and also make ourself ‘better’ then someone else when we believe we are seeing the situation as black and white or good and bad. Whenever our ego takes over – through judging a situation – we step into linear time of past and future. We unconsciously see the world through our experiences and emotions. We may feel proud, angry or any other emotion but we won’t be able to shift it or be in charge of how we respond and react. We will be caught up in some situation that has been pre-judged and therefore unable to allow new experiences to be created. So, I invite you to BEcome aware of the emotions that you are expressing. Find a way to Feel those emotions, it’s okay to do that, but without falling into the judgments we have identified – or not yet identified – as patterns within our experiences. BE Open to how you are actually feeling in any given moment and BE authentic and express it – but without judgment. You choose how you want to actually BE in each moment. When you are present – you can make a decision on whether you want to continue expressing unconsciously or whether you want to create new experiences based on your intentions to BE and Feel each moment as it is. And as we intend each moment to be perfect for us – let’s Honor each moment and allow each of our moments to BE chosen by us in the way we want to respond to Life. Then the Magic will unfold and we will begin to choose Love and other positive emotions over fear and other negative emotions. We will BE present with our Feelings – the ones we have chosen. This entry was posted in Blog and tagged BEing in Charge of Emotions, Being vs Doing, Emmanuel Dagher, fear vs love, Feelings vs Emotions, Intuitive Counseling, intuitive counselor, Judgments, Laurie Huston. Bookmark the permalink.